Jack Gale - picture courtesy RPAYC Media. A large crowd gathered at the Royal Prince Alfred Yacht Club to witness the first sod of earth turned for the club’s new training centre development and the official naming of the facility. 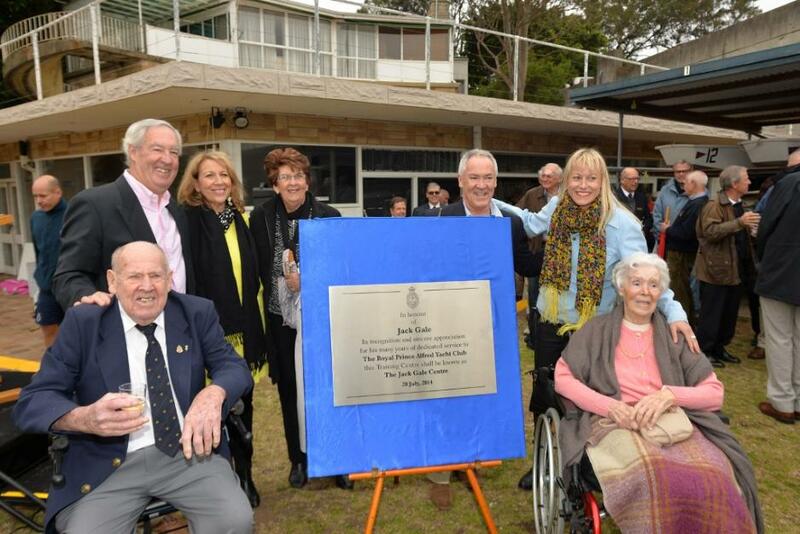 Newly elected Commodore Ian Audsley officiated as namesake Jack Gale turned the first sod and unveiled a plaque officially naming the new training building ‘The Jack Gale Training Centre’, recognising his close to 60-year contribution to the Pittwater yacht club. Right: Ian Audsley and Jack Gale - picture courtesy RPAYC Media. Jack and Joan Gale, sons Geoff and Rob and other members of the Gale family attended the ceremony on Sunday July 20, 2014. Long standing member Peter Kennett highlighted to the audience the many and varied contributions the Gale family have made to the RPAYC on Sydney’s Northern Beaches, and the sport of sailing. “Many who sailed on Pittwater in the 1960s-80s know Jack Gale as an accomplished sailor, race official, yachting commentator and local colourful identity,” said Kennett. Jack was employed as the RPAYC caretaker in 1956 and continued in various roles including house manager and yachting secretary until he was appointed secretary manager in 1978. Following his resignation in 1988 Jack returned to his first love - sailing. He was elected to Life Membership of the RPAYC in 1994. During his service to the club Jack was actively involved in planning for the construction in 1962 of the first A marina and of what was then known as the 5.5 hardstand, or the Green Point Hardstand. 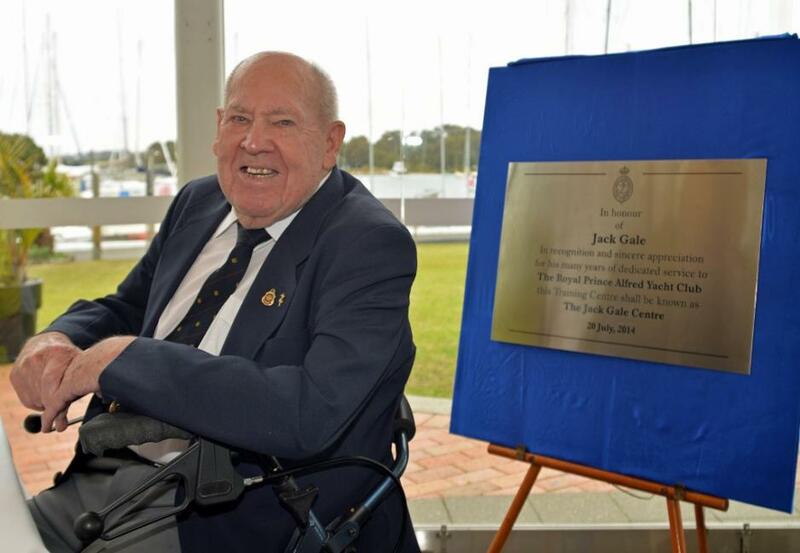 Jack oversaw the erection of the previous slipway and several marina extensions; clubhouse renovations and additions; completion of the Crystal Bay development and car park and the establishment of the club’s signature offshore event, the Club Marine Coffs Harbour Yacht Race in 1981. Construction of the Jack Gale Training Centre is expected to commence next month, September 2014, with a scheduled completion date of January 2015. The facility is destined to be the centre for excellence for the club’s training and centreboard sailing activities. The shovel used by Jack Gale for turning the first sod will become a new perpetual trophy for participation in centreboard racing. The inaugural winner for 2013-14 is Paul Hawke. Jack Gale turns first sod. The Gale Family - picture courtesy RPAYC Media, 2014.